Our cash flow page is the go-to place to get an overview of payments coming in and out of your portfolio – either historical, actual or future. We hope that this page serves as a great analysis tool for you, for example to get a daily overview of the repaid principal and received interest. Or if you want to know what’s in store for the future, it enables to predict future payments. In the end of January we introduced the Beta version of our brand-new Expert Center which also included the cash flow pages. We asked you to test the functionality and send us your feedback via “I Have a Feature Request”. Your comments have been valuable to us for making further improvements in the features. 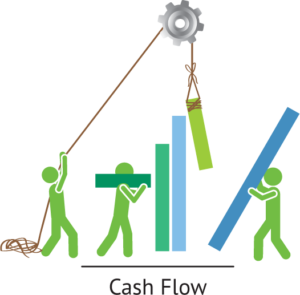 Most feedback and ideas that we received were related to our cash flow reports and that resulted in prioritizing all our development around this tool. Below are some samples of your requests – we have them covered in our product pipeline and will be now executing the backlog over February and March.